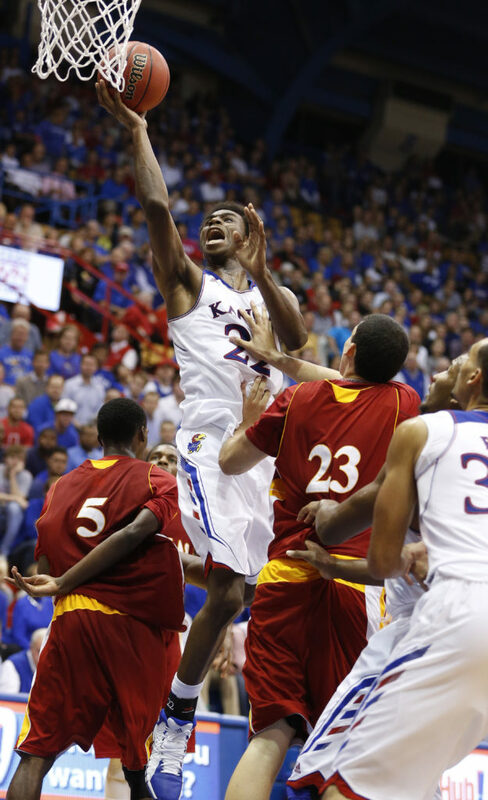 Kansas guard Andrew Wiggins slashes to the bucket between Pittsburg State players Devon Branch (5) and Alex Williams (23) during the second half of an exhibition game on Tuesday, Oct. 29, 2013 at Allen Fieldhouse. 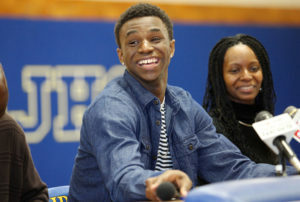 This shouldn’t come as a shock, but Kansas University guard Andrew Wiggins already has plans of being in the 2014 NBA Draft. 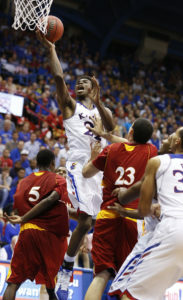 Wiggins also said he had the goal of being the No. 1 pick next year. “Yeah, if that’s possible if I can, yeah,” Wiggins told ESPN. 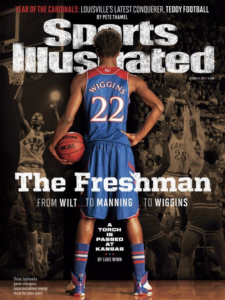 ESPN also has a short video of Wiggins that is worth a watch, as it shows some footage of his photo shoot along with his interview answers to Bilas. Also, here’s the full ESPN the Magazine article.